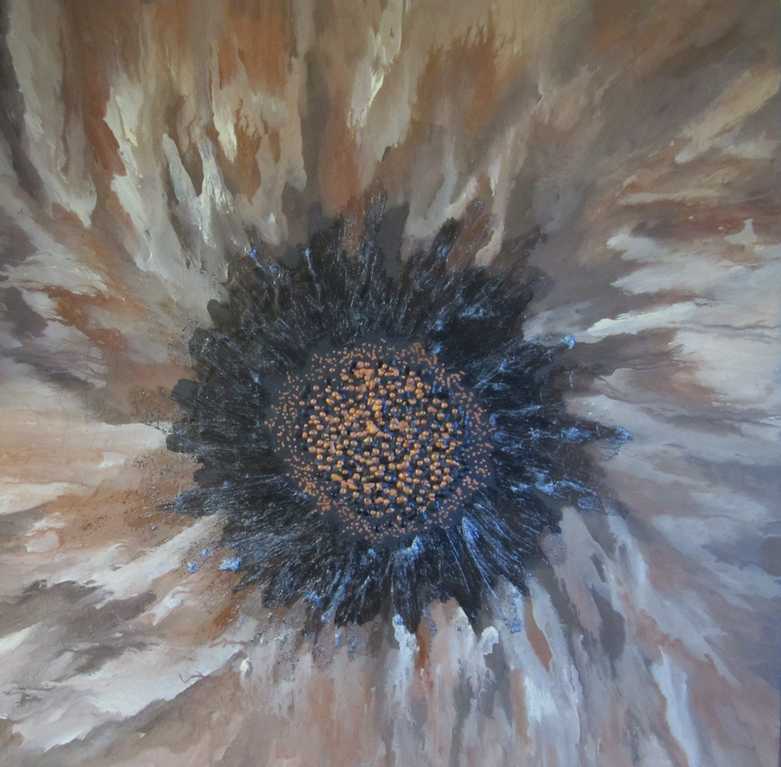 I have used acrylic and melted wax to create this contemporary painting...soft shades of chocolate brown,rusty brown and a subtle cream mingle and merge together. I have added detail using melted wax to the centre of the poppy.You can see the close up detail in the photos. It makes the painting very \'touchy-feely\'- everyone has to touch it to see what it is created from! All of the sides are painted and it has been varnished to protect it.. It is strung ready to hang and will look great in a contemporary home or a more traditional one. I have several versions of this painting in several sizes and colours-please get in touch for more details..